I’ve found that sometimes you win some and you lose some. 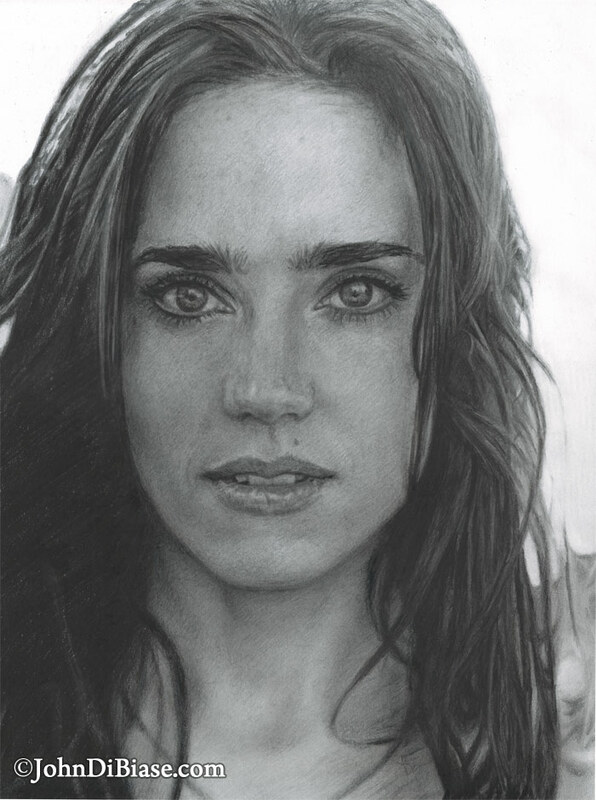 I struggled with this pencil portrait of Jennifer Connelly for too long and, sadly, I don’t think I got it quite right. Sometimes it’s the source image that’s part of the problem, and other times I think I just struggle nailing the likeness just right. While there are elements of this one that I do like (like some of the shading), overall, I have to admit… I’m disappointed it didn’t turn out better. Sorry, Jennifer… Next time?